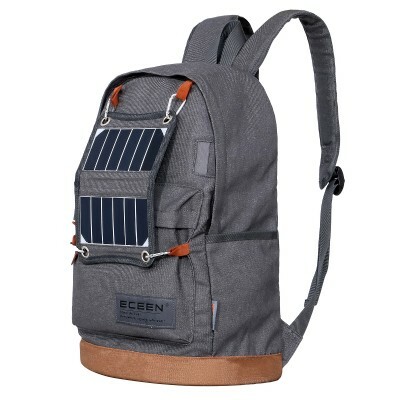 ECEEN Solar Daypacks with Solar Lantern and Solar Charger Panel Pack,ECEEN Powered Backpack, Camping Bag, Solar Panel, LED Lantern pack, led light backpack, power backpack, solar bag, solar led bag, solar led backpacks, ecen, battery backpack, camping backpack, school,ECEEN Electronic limited. 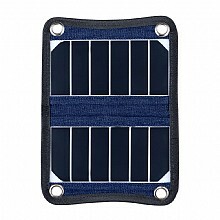 REMOVABLE &FOLDABLE SOLAR CHARGER - 3.5Watts foldable solar panel removable from main packs. It can absorb solar energy, high efficiency up to 22% efficiency solar charging technology keeps your devices powered up with free solar power. 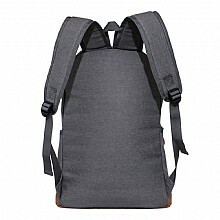 The solar cells in a protective anti scratch hardened coating sewn into high-wear PVC fabric for weather-resistant outdoor durability. 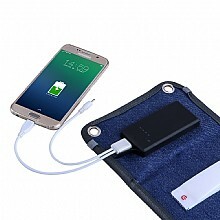 CHARGE A VARIETY OF DEVICES EVEN AT NIGHT- Built-in 2,000mAh slim and waterproof Li-Polymer Battery pack harge for iPhone, Samsung, other smart phones, External Battery Packs, GPS systems, MP3 Players, Bluetooth Speakers. Do not worry your devices run off power all day and night! UNIQUE LED LIGHT DESIGN - 1Watt Led light power from chargeable battery. Do not afraid of darkness at night either. 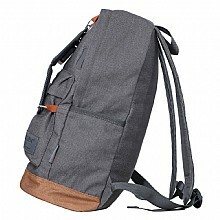 Just enjoy the greatest happiness during travel camping all day and night. 10 pcs led chips, sensitive touch 3 modes for Light Modes: High-brightness, Low-brightness, and SOS/Emergency flashing, very suit for camping, hiking or other outdoor activities at night. ECEEN® Solar charger&light backpack captures more sunlight than conventional solar panels,it generate more electricity per panel. 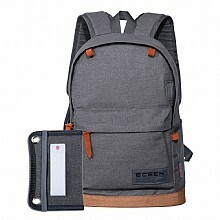 Using ECEEN original charging cable in the packaging. Plug the DC port to the battery DC input. Plug another USB plug to computer (or AC USB adaptor plug).Then the battery led will become red. 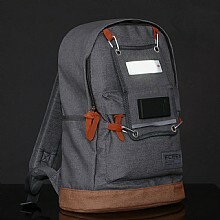 The battery should be fully charge from flat in around 1 hour. 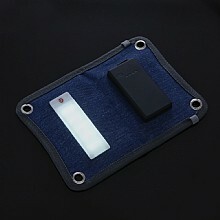 Using USB charging cable, plug USB port to the battery USB output.Connected right charging adaptor to the mobile phone.then the product will be charging smart phone automatically.